Case Studies — C. Jackson Investigations, Inc.
What we have done and just some of what we can do. 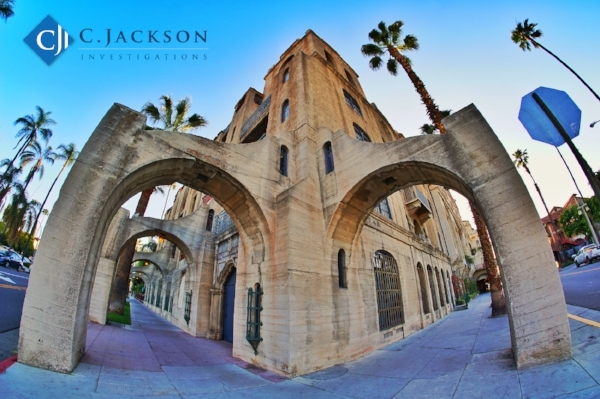 At C. Jackson Investigations, Inc. we strive to accomplish the best outcomes possible for our clients. Please read through our case studies for examples of successful investigations we have performed over the years. Remember, consultations are free so give us a call to see if we can help you. This case illustrates how a bit of diligent investigation can really make or break a case. My client was charged with among other things burglary and possession of stolen property. Based on the police report, it appeared there was little to work with given the basic facts of the case as presented by the police department. However, the most important facts benefiting the client were discovered during the crime scene visit. The number one thing any investigator can do is visit the crime scene. You would be surprised how rarely this action is actually done. It was during the scene visit I discovered the crime would have been physically impossible to perform given the design of the building! Essentially I discovered the architecture of the building would have prevented anyone without a 25 foot ladder from gaining entry into the residence. Possible yes, but probable, no given a witness I located. Additionally I was able to contact and speak with the victim who revealed key facts the police investigation failed to uncover. These two discoveries alone helped to mitigate the major charges against my client. When the Assistant District Attorney was presented with my investigation package, they promptly dropped the most serious charge of burglary and allowed my client to plead out to a lesser charge. He was also immediately released from jail. No doubt the client was grateful for the hard work as he avoided a felony strike on his record as well. Here at C. Jackson Investigations, Inc. we can’t always guarantee results like above, but you can rest assured that having us investigate your case is always better than doing nothing. While police officers and detectives strive to do great work, they make mistakes just like everyone else. They are human after all. A good private investigator can help you pick apart a police investigation on paper. A great investigator will go to the scene and talk to the people involved. Often times revisiting the crime scene can reveal the mistakes made during the police investigation or discover new facts that help to exonerate the client or mitigate the criminal case against them. My client was at a large party and accused of hitting a female party-goer during an argument. Typically when fights occur it is a he-said/she-said event. In this case we had several witnesses, a poorly written police report, and a victim with many character issues. After extensively tracking down witnesses who would talk, we came to learn that most if not all were intoxicated that night and turned out to be poor witnesses. In addition, the police report was brief and lacked substantial details about what had occurred. Through various contacts I was able to locate a couple who had employed the victim, and had been victimized themselves by said victim. The witnesses gave crucial background information on the victim that could be used to impeach her during trial. When the trial occurred, our investigation helped to win the case! The witnesses could not corroborate clearly what happened, the victim lied on the stand opening the door for her previous employer to come in and impeach her. The jury deliberated for about an hour before they declared my client NOT GUILTY on all counts! My client was an X-Ray tech at a local hospital. He was an upstanding citizen with no criminal record. The story began during a routine x-ray exam of the victim’s abdominal area. After the exam, she called the hospital to report she had been touched inappropriately by my client during the exam. For the most part this case had no where to go because it was a he-said/she-said case. However, during the course of the investigation, we were able to locate two ex-husbands of the victim who had amazing background about the victim. In addition to being married to both men at the same time, they provided evidence of tax evasion, fraud against FEMA, and statements from the victim showing her willingness to lie about my client’s actions. The case went to trial and after an hour of deliberation the jury returned a verdict of NOT GUILTY on all counts. The judge went as far as to declare my client as factually innocent of the charges (that is rare for a judge to do). Our client had been out for a night on the town with his brother and some friends. What started out as an innocent evening turned ugly when he and his brother were arrested for assaulting several security guards. The client quickly employed our services and was adamant that he was the one assaulted by the security guards, not the other way around. We were able to ascertain that several video cameras in the area should have recorded the incident. We quickly contacted the business and requested copies of the video. Luckily the business complied and we soon learned via the footage that in fact, our client had been assaulted by the security guards. We immediately contacted the district attorney and had the case dismissed! Our client was a local manufacturer who had a high level employee stealing secrets from the company. The client suspected the employee was working with a competitor and their attorney to sabotage his company. We started a multi-day surveillance and followed the suspect employee to San Diego from Orange County. There we were able to get video and still photos of the suspected employee meeting with the competitor and their attorney. It solidified the client’s suspicions and helped to advance the civil lawsuit to the client’s advantage with his competitor. Every now and then a person just doesn’t want to be found so they can be sued. In this case the client had a judgement for over $200,000 and needed the defendant personally served. Problem was, the defendant didn’t want to be served for a debtor’s exam (the court orders you to bring the money owed to the plaintiff) and was hiding not only his personal location but many of his assets. A diligent asset search located several business and personal bank accounts associated with the defendant. After a difficult search we located the defendant in central California. We staked out his home and waited for him to come outside. When he did, we served him. The defendant knew the gig was up when he saw the video camera recording the process of service. There was no getting out of his debtor’s exam on this case. This case illustrates the distance we will go to help a client in need. The case was a he-said/she-said traffic accident that occurred in 2009. The client had no police report and only a Hispanic name…in the city of Los Angeles, to go by. After spending all day at the LAPD, we were able to secure a police report that had the witness information. However, the information was old and the database searches we used could produce no reliable current information. We located one address in Northern California that appeared to be for a close relative. The week before the civil trail was to begin, the client had given up all hope of finding the witness. We took and chance, and on a contingency basis, we drove up to Northern California and contacted the relatives. After explaining to them the situation, they agreed to contact the witness for us. The witness called me the Friday before the trial and agreed to fly in from New Mexico to testify on our behalf. The witness was key to the case and key to victory. My client secured a $900,000 judgment with the jury citing the witness as their primary reason for awarding the huge settlement! We weren’t going to let our client down, and we won’t let you down either. Even if you think all hope is lost, give us a call, it could mean all the difference in the world. My client approached me with the difficult task of recovering a boat he had rented to an individual in the L.A. area. The renter was making sporadic payments and was not telling my client where the boat was being stored. It has been almost 3 years since the client had access to his boat. As the investigation unfolded we learned the renter had a lengthy litigation history and no reliable recent address making the boat impossible to locate. Since the client was in regular contact with the renter, we devised a plan to lure the renter and boat out of hiding. At the conclusion of the meeting we tracked the boat to it’s final resting location (he was storing it in a nice neighborhood nowhere near his house) and called in the repo company to do the recovery. The client suspected his wife was meeting up with a gentleman she had met at a local coffee shop and asked us to conduct a surveillance over the course of a few weeks. We were never able to come up with anything substantial to back up the client’s belief his wife was cheating. All of that changed, however, when the wife said she was going out of town for the weekend with some, “girlfriends”. We set up on the wife and tracked her to her, “girlfriend’s” house. Although it wasn’t her, “girlfriend”, but rather her very wealthy new boyfriend. We successfully tracked the two lovebirds from Orange County to a desert resort in the region. We were able to secure ample video evidence throughout the day showing the getaway was anything but, “just friends”.